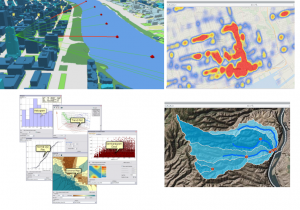 A full-featured GIS software for visualizing, managing, creating, and analyzing geographic data. ArcGIS is available from RockWare only to customers in the USA. ArcGIS Desktop helps you understand the geographic context of your data, allowing you to see relationships and identify patterns in new ways. ArcGIS software helps tens of thousands of organizations make better decisions and solve problems faster. ArcGIS Desktop is available in three license levels. All levels of ArcGIS Desktop include 32-bit and 64-bit Windows versions of the program and online access. 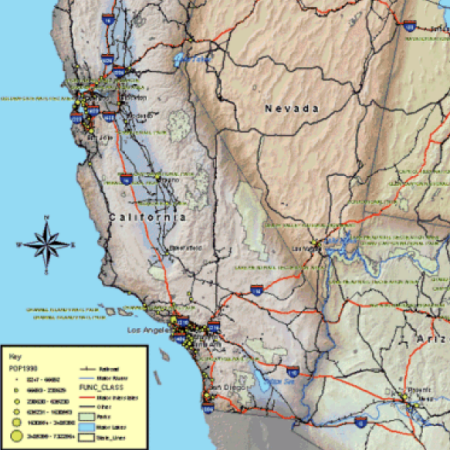 ArcMap – 32-bit Windows program for map creation and analysis. ArcGIS Pro – 64-bit Windows program for map creation and analysis. ArcGIS Online – Create and share maps in your web browser. 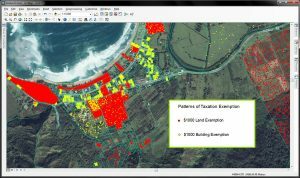 ArcGIS Desktop has a number of Extensions available to add functionality to the program. 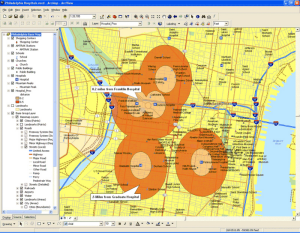 ArcGIS Desktop is desktop GIS mapping software that provides geographic data visualization, mapping, management, and analysis capabilities along with the ability to create and edit data. 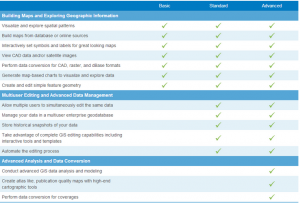 All levels of ArcGIS Desktop include ArcMap, ArcGIS Pro, and ArcGIS Online. ArcGIS License levels are: Basic, Standard, and Advanced. What’s new in ArcGIS Desktop 10.6? ArcGIS Desktop 10.6 adds new features for Geoprocessing in the 3D Analyst and Spatial Analyst toolboxes, compatibility with the PostGreSQL data, and enhanced Bing Maps compatibility. Who can buy ArcGIS from RockWare? ArcGIS is available only to customers in the USA. All others should contact www.esri.com. Allow 1 - 2 business days for your order to be processed by Esri.